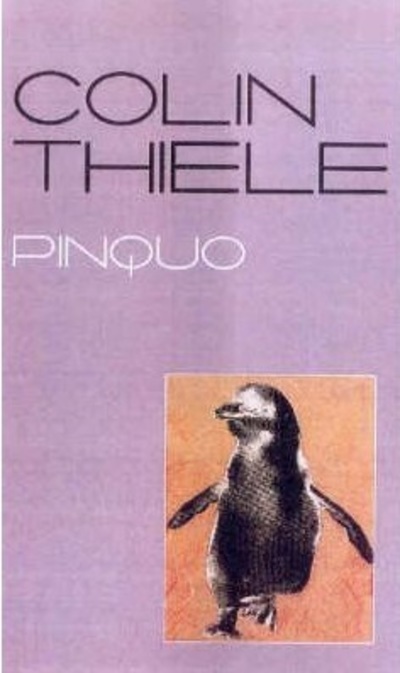 Pinquo is a moving children's book by the award winning Australian author Colin Thiele. Like his more famous book Storm Boy, Pinquo is about a child's attachment to a native seabird. It is the story of Pinquo the penguin, who is found injured near his burrow in the sand dunes of Sickle Bay, New South Wales, by two children, Kirsty and Tom. The two children take Pinquo to Dr. Piper, a scientist who lives nearby and help him nurse the injured penguin back to health before releasing him back into the wild. To the great surprise of his human helpers, Pinquo eventually returns to dig a burrow right in Dr. Piper's backyard. There he raises his chicks who in their turn also return to Dr. Piper's place. Then one day disaster strikes Sickle Bay and it is the penguins who warn the town's human inhabitants in time for them to get to safety. I read this book to my five year old, but the age suitability really depends on your child's attention span and how sensitive they are. At 70 pages including the illustrations it's not a long read but it is a sad one. It doesn't have a happy ending. Think Charlotte's Web. When my daughter and I read it together there were quite a few tears, many of them from me. It is, however, a beautiful, heartwarming story. Pinquo would be a good choice for a child who loves animals, or if you are looking to kindle in your child an interest in conservation. You will also probably learn a few interesting facts about penguins along the way.